Ah, thanks! The pins are about 50% submerged into the holes, so I thought they weren't in far enough as the radio simply won't budge. I'll have another go tonight at wiggling them about and will desist from belting them with my hammer! I have a replacement Visteon CD unit in hand (finally bagged one on ebay), and put the keys down through the holes on that so that I could see how far they were going. The same happened - they go about 50% of the way in, and I don't see the ends poking out anywhere. It looked to me like they weren't going in far enough to engage the grooved-looking retaining clips which look they they would need to be pushed back in order to release a fitted unit from its berth. It really looked like they would be doing absolutely no good in a fitted unit as they just sit in small black plastic tubes which don't reach as far as what looks like the retaining clips. One other question - when the removal keys are in place, should they catch hold of the unit, and then you pull on them to take the unit out, or do you just insert the keys then grab the body of the unit to remove it? Finally got the thing out after using the biggest screwdriver I have as a lever, and also pushing the unit from the back after removing the glovebox lining. Thanks for all the tips, I now have my CD player in place at last. Yippee. To quote Blackadder, it was the stickiest situation since Sticky the stick insect got stuck on a sticky bun. I was getting quite worried that I would end up damaging the dash, but I managed not to in the end. I hope never have to remove the CD head unit now I've got it in. I got the actual pins too and they did **** all. Took it to Halfords, they came out with 4 bicycle wheel spokes, stuck them in a good 3 inches and it came out easy as anything. Last edited by wizardflake; 20-09-2008 at 10:53. Ok.. This is how it works. To remove the standard stereo you first need to insert the two removal applicators, in to the four holes. It is advisable to use heavy duty removal tools as the cheap nasty ones just don’t seem to do the job. Once you have done this, the trick is to firstly lift the whole unit from the bottom and gently edge it out. 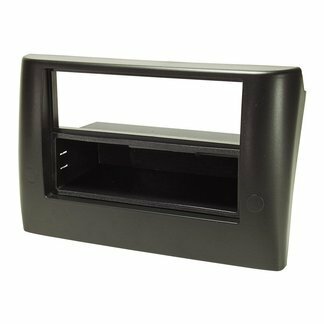 There are two clips on the top of the unit that secure the stereo in place. By lifting out the bottom you loosen these clips, you then have to prise out the top of the unit. I use a metal ruler and then found the clips to be 4cm in from both ends of the unit. When to hear the loud click from both clips at the top of the unit, the stereo is free to remove. I hope this helps you all, and all that read this. Any other questions about any fiat car problems please ask. Really glad I came across this thread - I got my removal keys from demonaudio and (see the link - part number 'PC5-83'). I was stuck when the stupid stereo removal keys wouldn't release the radio though. Having read this I formulated a cunning plan... how cunning you say? Well... a good bit of brute force and ignorance did the trick I tried to be careful though and used even pressure on the release keys whilst pushing from behind the glove! Hi everyone. Wanted to clarify something before changing mine. 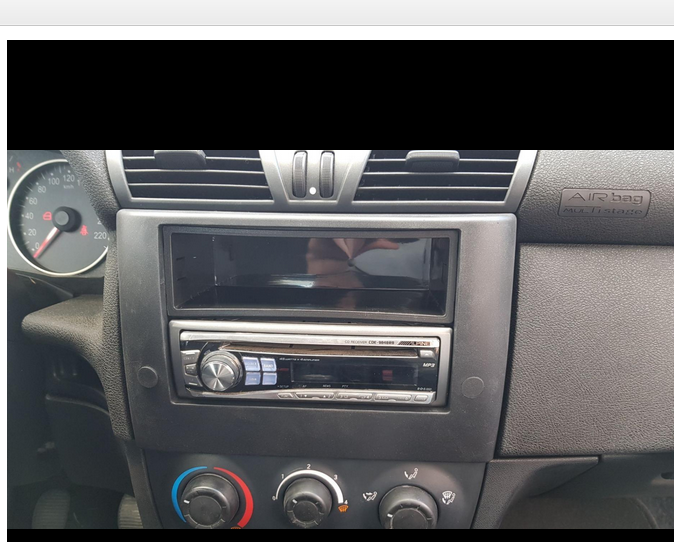 If i removed my headunit and put in an aftermarket one - if i was to put it back in when selling the car, would I need a radio code, since I don't seem to have one? My battery has been removed before for a couple of weeks and forunately i didn't need a code then..
After trying so many times with the standard radio release keys I had no luck. Now after fiddling I have figured the best way to remove the radio. The standard two prong keys are actually too thick (diameter), so the best thing I found to use would be a 2mm diameter or less allen (hex) key. The keys I used were 75mm long and you can put them in each hole one by one and keep pulling the unit from the front, but I would advise using 4 at a time so all the catches inside the unit are unclipped. I don't know why the visteon radio has a slightly different spec for the release keys and I think it is a bit silly but hopefully this should help all those in need. What type of radio do you have? Original (Connect Nav), or replacement? 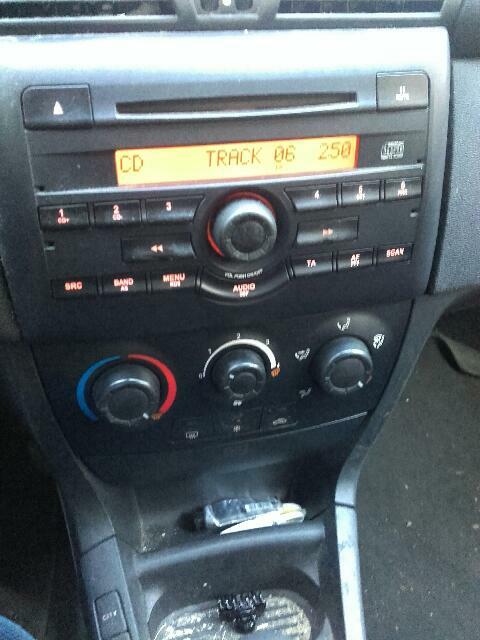 Connect Nav has two holes next to CD, others may have different style. Picture may be helpful. Thank you for your answer - it's my girlfriend's car... I asked her if she would see the holes and she replied "no" - I then asked for a picture for you and well... turns out the holes are there ! Is it the "fiat stilo visteon" ? And put a 1DIN radio player in it... do I need any cables ? Other than the ones I already have ? Last edited by dapand; 11-02-2019 at 17:09. That is the frame you need. Don't buy one that's two pieces, it does not fit. You would need cable from ingition to start radio automaticaly. Or you can connect red and yellow cables from the radio and turn it on and off manually. You can get ignition cable from lighter, or under steering wheel, there are guides in guide section. Btw why do you need to change the radio? You can buy box with AUX, microSD and USB for much cheaper than whole stereo + frame. And it does not require any modifications, just plug and play. In my opinion it's the best way if you don't want a 2din with big screen. Can you link me one of those plug'n'play box you're talking about please ? Last edited by dapand; 12-02-2019 at 17:17.